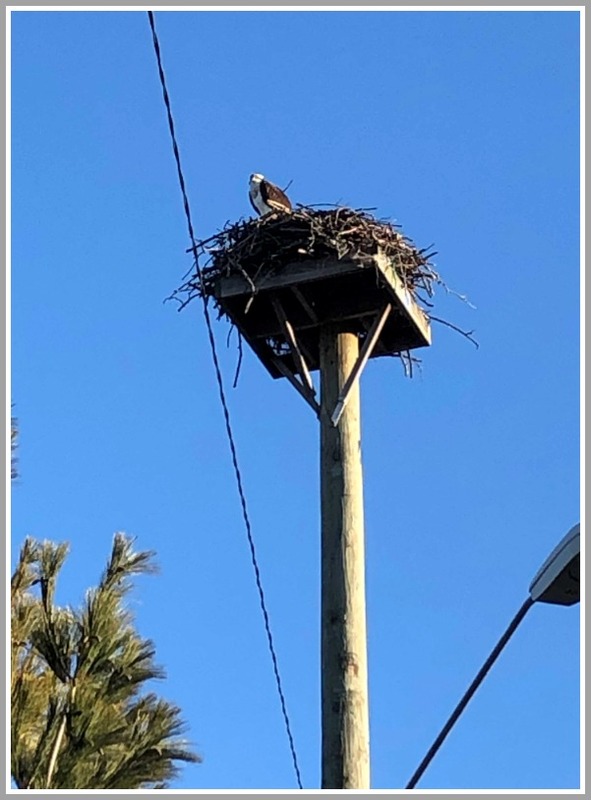 This entry was posted in Environment, Westport life and tagged osprey. Bookmark the permalink. I love these guys..we have two active nests over here in BLACK ROCK….I’m watching for them…..
All can’t be wrong in the world so long as our Osprey keeps returning! We have an osprey nest up here too, on Masons Island where my boat is. I’ll be watching for a bird. Great to see them back. Does anyone know what happened to the parrots that were around the beach area? ANY SIGHTING OF AN OSPREY AT THE LONGSHORE NEST? The female osprey wears a “pearl necklace”. She has a semicircle of brown feathers below her neck. The male might have a few brown spots there, but not they’re not as distinctive. It’s likely the male who has returned. He’ll wait at a nesting site, announcing himself and the female will find him. Birds who “mate for life” are usually faithful to the nest site rather than to each other.